← Mr. Lid – So Clever! 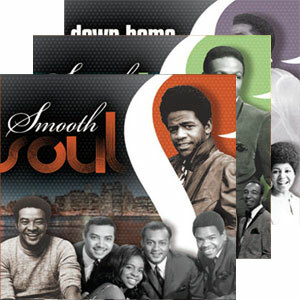 Time Life Music’s Smooth Soul is my new favorite box set! I finally got this set for my self and have been loving it. I remember watching the infomercial for Smooth Soul before it was released to us, As Seen on TV Web Store, and couldn’t wait to get it. It is really the best compilation of Soul Music from the 60’s and 70’s that I have come across. Thank you Time Life! Here’s some of the amazing artist you’ll get on this 10 CD set…Otis Redding, Marvin Gaye, Aretha Franklin, Jackson 5, The Supremes, James Brown, Smoky Robinson & The Miracles, need I say more? The list goes on and on. Smooth Soul is the most comprehensive collection of Soul Music from the ’60s and ’70s, you will not be disappointed.